Studies have determined that despite billions of dollars being spent by the federal government to combat drug abuse, addiction numbers continue to rise across the United States. President Barack Obama has appointed Michael Botticelli, director of the White House Office of National Drug Control Policy (ONDCP), also known as the Drug Czar. A former alcoholic himself, Botticelli’s role is to oversee substance abuse problems within the country and legislation around it. An article written by the Wall Street Journal states that the ONDCP recently performed an analysis revealing a funding increase of 48 percent over 10 years to combat the war on drugs. Much of the program’s funding will continue to go towards prevention and treatment resources, particularly in the wake of the administration’s policy shift, which will focus more on treatment than enforcement. These new policies are critical due to the drug epidemic across the country. In 2010, The White House enacted its inaugural National Drug Control Strategy (NDCS). This new strategy was created in an effort to reduce illicit drug use in the United States. Its goal within the next five years is to reduce the rate of drug use by 15 percent. Requests for $25.6 billion in 2013 to aid the NDCS budget demonstrates its commitment to these goals. To support these countrywide policies, the government is also enacting new state regulations as well. Although a variety of substances are being abused across the United States, one that is making the most headlines in the nation is heroin. 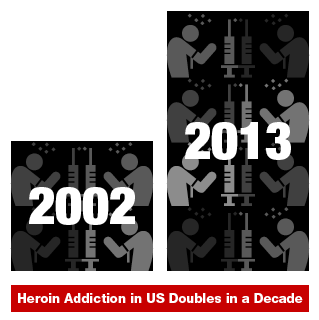 US News reported that for Americans ages 26 and older, heroin usage has increased 58 percent. It also reported that in 2015, the government will allocate approximately $15 million into combating the trafficking and abuse of heroin. This plan is a direct result of information that has been dispersed by the Centers for Disease Control and Prevention (CDC), which has forewarned the government and public of an imminent surge in heroin usage. US News also reports that heroin, which was once primarily used in urban areas by lower class males, has now reached a new demographic due to its accessibility and low cost. Now a dominant presence in almost every neighborhood in every state, white suburban mothers are now some of the highest users of heroin in the United States. Also in 2015, the government announced a new strategy to tackle the heroin explosion in a collection of the states that are most affected by the issue. The “Heroin Response Strategy” will focus on treating addicts rather than punishing them and targeting high-level suppliers for arrest. Many researchers and policy makers agree that due to the rise in prescription painkiller abuse, heroin usage has risen as well. The article also reported that under the Heroin Response Strategy plan, approximately $2.5 million out of $13 million of new funding to counteract the war on drugs will target the regions where heroin abuse is most prevalent. 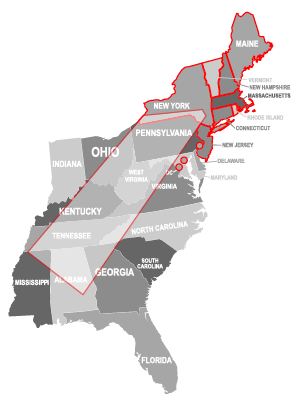 These regions are Appalachia, New York, New England, New Jersey, Philadelphia, Washington D.C. and Baltimore. The CDC has also chosen 16 states that in September of 2015 will participate in a new plan to combat drug abuse. Some of these states are California, Illinois, Kentucky, North Carolina, Pennsylvania and Oklahoma. Participating states will execute and evaluate prevention strategies to improve safe prescribing practices and prevent prescription drug overuse, abuse, misuse and overdose. The CDC has also chosen 16 states that in September of 2015 will participate in a new plan to combat drug abuse.The program will also evaluate the states’ program activities. 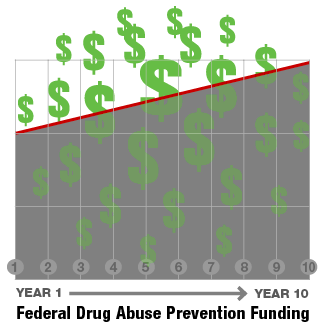 The program will monitor performance, demonstrate effectiveness and record success stories. Results of this project will affect and determine whether the program will be continued and whether other states will be added to it to aid in the effort of thwarting substance abuse and overdose. The government has also enacted a National Synthetic Drugs Action Plan. This plan is compiled of a variety of tactics to lessen the prevalence and use of synthetic drugs. It will develop an early warning program to alert the government and aid them in detecting new drugs and their trends. The plan also will establish an educational outreach program. This is designed to educate the public, specifically the youth, on the harmful side effects of drugs. It will develop practices to aid children whose parents may be addicts or are in a situation where they could be prone to substance abuse. The Obama Administration is committed to expanding and increasing community-based efforts to deter drug abuse, leading to addiction. President Obama has created plans to increase access to treatment, which will lead to less people being afflicted with addiction and support the millions of American citizens in their pathes to sobriety. Seaside Palm Beach is a luxury all-inclusive recovery facility whose main goal is educating our patients with tools to deal with their addiction, leading to them achieving long-term sobriety. Patients can choose from a variety of unique programs available at Seaside Palm Beach. Our facility believes in an all-encompassing holistic approach to treatment where the body, mind and spirit are all addressed and treated as well. For more information on Seaside Palm Beach and for how you can achieve sobriety, please call (888) 997-3274.